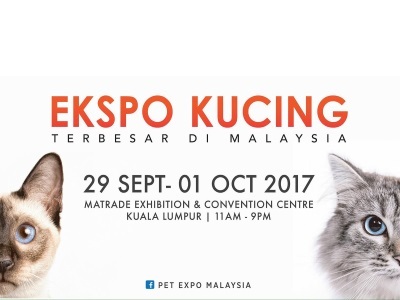 THE upcoming Pet Expo – Cat Edition (also known as Ekspo Kucing), the largest feline-related exhibition in Malaysia is targetting to attract 15,000 visitors over a three-day period. The expo, organised by Murni Ekspo Sdn Bhd, from Sept 29 to Oct 1 will take place at the Matrade Exhibition & Convention Centre (MECC), Kuala Lumpur. Ekspo Kucing will feature 120 booths and showcase more than 500 cat species, cat-related products and services in the market today. One of the event’s main highlights is the Largest FIFE International Cat Competition, co-organised with Kelab Kucing Malaysia. Sponsored by BritCare, Wahre Liebe, Carnilove and Pronature, the competition will involve 480 contestants over a two-day period, said Murni Ekspo managing director Sherman Yeong. Cat lovers can look forward to attractive prices and promotions on cat food as well as as beds, collars, toys, treats, cages, clothing, food and water bowls, and accessories. Some major brands participating in the show are Royal Canin, Nature’s Protection, Snappy Tom, Equilibrio, Blackwood and Nutri Edge. The three-day event will also feature other pets such as rabbits, hamsters, guinea pigs, reptiles and exotic animals. Visitors will also have a chance to see an alpaca and others animals by Farm in the City. The event will also feature an adoption drive, small animal display, exotic pet competition, petting zoo, seminar and lucky draw. The inaugural aquatics and pets event at the Mines Exhibition Centre created another overwhelming success with 121 exhibitors from local and overseas covering more than 7,000 m2 of exhibition space in MINES. The show attracted more than 15,000 visitors over 3 days. Even our competitors are talking behind our back because we have set a very high standard for them to follow. More than 70% of the exhibitors have booked for 2016. Make your move now to be ahead of yours competitors when time is tough. 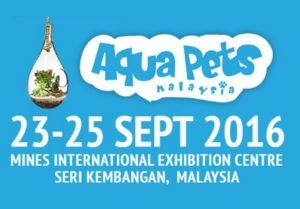 The only Pets & Aquatics Expo in the bustling city area of Kuala Lumpur, Malaysia, this is an annual event held for the consecutive 9 years. Pet World Malaysia 2015 achieves a record breaking of more than 40,000 visitors during the 3 days show. This massive events held in three indoor arenas featuring amazing & exciting fun activities such as MKA Dog Competition, Cats Show, Exotics Pets Display, Rabbit Competition, Pets Education Talks and many more…. 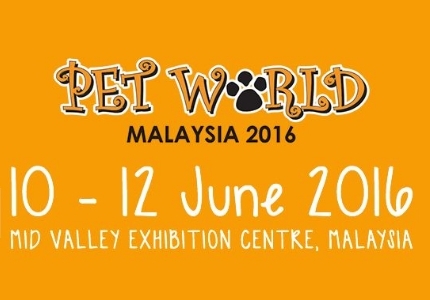 Pet World Malaysia will be back again at Mid Valley Exhibition Centre on 26th – 28th June 2015. This will be the 8th Malaysian International Pets and Aquatics Exhibition. This year, we are proud to bring in more exciting games and activities for all pet lovers. 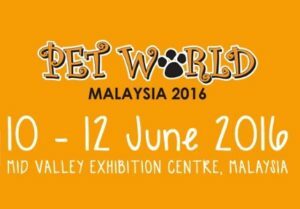 Pet World Malaysia 2014 has successfully gathered more than 45,000 visitors in the 3 days event, gathering pet lovers in a single venue. Therefore, in 2015, Pet World Malaysia promises to strive harder in order to boost the pet industry in Malaysia, generating not only more pet lovers but also to promote responsible pet ownership.